Clean CARFAX. 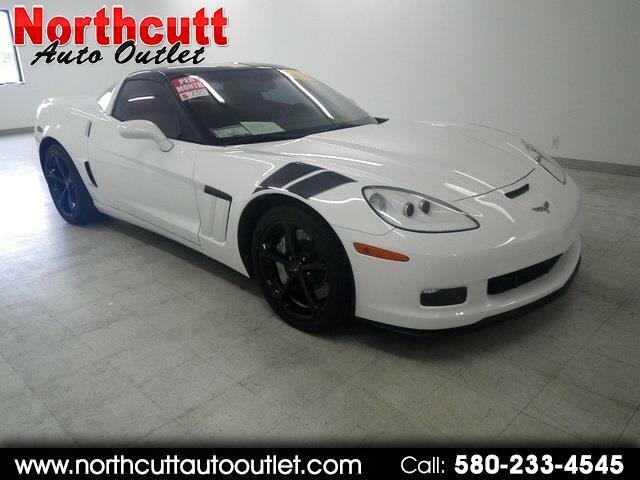 Arctic White 2013 Chevrolet Corvette Grand Sport RWD 6-Speed Automatic Paddle Shift 6.2L V8 SFI Low Miles, 6-Way Power Front Passenger Seat Adjuster, AM/FM Stereo w/CD Player/Navigation, Bluetooth® For Phone, Bose Premium 9-Speaker System, Cargo Net & Luggage Shade, Driver & Front Passenger Heated Seats, Front Sport Bucket Seats, Head-Up Display, Manual Tilt/Power Telescopic Steering Column, Memory Package, Perforated Leather Seating Surfaces, Power Lumbar/Bolster Seat Adjusters, Preferred Equipment Group 3LT, SiriusXM Satellite Radio, Universal Home Remote. Message: Thought you might be interested in this 2013 Chevrolet Corvette.